OK, so this is a bit of comic relief but it is a true story and it underscores the need for QUALIFIED medical office help. Keeping track of medical records is a tough job. So many people with so many different ailments and specific requirements. It seems like an overwhelming task to keep it all straight. This is why Allen School Online students study hard. Consider the case of Les Kennington who was told that his severe abdominal pains were likely the result of his past hysterectomy! Yes, you read that right. 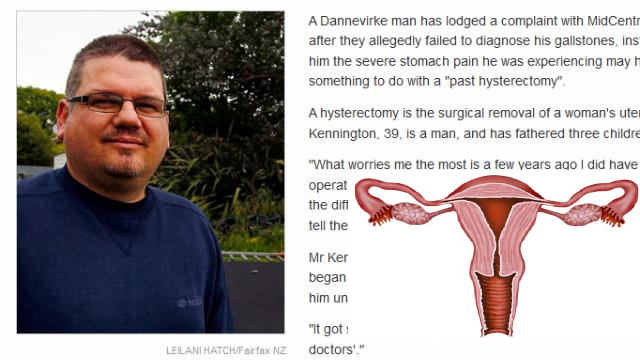 This New Zealander’s doctor’s office insisted Les’s pain was a result of his having had his uterus removed because his medical records said he’d had one! Click here to read the story that would be hilarious if it weren’t true. Then get back to your studies because this is important stuff you’re working on!